In November, we urged folks to beware of “hemp oil hustlers” — companies that sell “100 percent legal” extracts of industrial hemp that they claim are rich in cannabidiol (CBD) — the second most common active ingredient in cannabis. Now, the FDA is amplifying those warnings. On February 26, the FDA sent seven threatening letters to seven CBD product-makers, telling them to stop making medical claims about CBD and their products’ ability to treat disease. The FDA considers CBD an “unapproved new drug” that’s being “misbranded” by the companies. Ultra CBD of Arizona and 6 other CBD product makers received warning from the FDA Saturday for making illegal medical claims. Some of these companies can’t even spell “cannabidiol” or “inflammation” right, the FDA notes, and all the ones notified appear to be violating the law by promising cures for cancer, autism, epilepsy, and other conditions. The letters notify the companies of the claims they are making on their websites and why they cannot make them. Your products are not generally recognized as safe and effective for the above referenced uses and, therefore, these products are “new drugs” .… New drugs may not be legally introduced or delivered for introduction into interstate commerce without prior approval from the FDA … FDA approves a new drug on the basis of scientific data submitted by a drug sponsor to demonstrate that the drug is safe and effective. The FDA warned Hemp Oil Care that statements about the products: “Cibaderm Hemp Salve,” “Dixie Botanicals Dew Drops Hemp Oil Supplement,” “Hemp Honey 21% Cannabidiol Oil,” “Hemp Honey CBD Vape Oil,” and “Hemp Pure Vape E-Drops,” cause them to violate the Federal Food, Drug, and Cosmetic Act. A work-around for companies selling CBD is to simply make no medical claims and link to outside independent research on CBD science. Then let buyers draw their own conclusions. While the FDA is focusing on medical claims by CBD makers, many experts remain concerned about a bigger issue: Where exactly is this hemp CBD coming from? Hemp is mainly grown in China, but also Eastern Europe and Canada for industrial — not human medical — use as fiber, or seed oil. It contains trace amounts of CBD. Some industrial hemp is grown for bio-remediation— the plant helps leaches heavy metals out of poisoned soil. Experts advise consumers to be wary of any claims about the sourcing of “100 percent legal CBD.” For one, CBD is still a schedule 1 narcotic — so it’s not 100 percent legal. Secondly, expert advise folks to know their source, the best of which is independent, third party-certified CBD-rich medical cannabis plants grown with organic inputs and without pesticides in legal medical cannabis states like California and Colorado. Extracts of those plants can also be tested and certified by an independent third party. The same rules apply to over the counter herbal supplements, which are also not federally regulated. 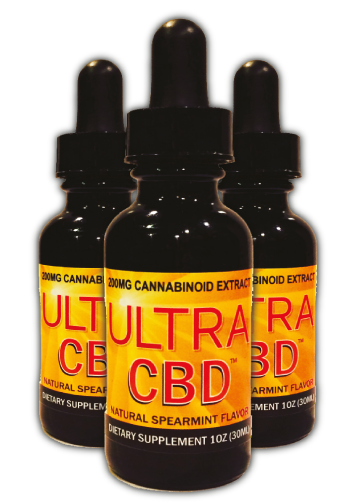 The warned CBD companies have fifteen days to show the FDA how they are complying with the warning letters. "Failure to promptly correct these violations may result in legal action without further notice, including, without limitation, seizure and/or injunction," the FDA warns.